This week’s Torah reading, Parashat beHar, includes an overarching prescription for dealing with economic inequality. The Torah recognizes that markets, while good at increasing wealth, are less good at distributing it equally. In order to deal with the inevitable economic inequality of a free market, the Torah institutes two methods of leveling the playing field every seven years: Shmittah and Yovel. Shmittah means “letting go” releasing our grasp on something. Two aspects of “letting go” every seventh year are mandated by the Torah: Shmittat Karkaot, letting land lie fallow—and Shmittat K’safim, forgiving loans. וְשֵׁשׁ שָׁנִים תִּזְרַע אֶת אַרְצֶךָ וְאָסַפְתָּ אֶת תְּבוּאָתָהּ וְהַשְּׁבִיעִת תִּשְׁמְטֶנָּה וּנְטַשְׁתָּהּ וְאָכְלוּ אֶבְיֹנֵי עַמֶּךָ וְיִתְרָם תֹּאכַל חַיַּת הַשָּׂדֶה כֵּן תַּעֲשֶׂה לְכַרְמְךָ לְזֵיתֶךָ. שֵׁשֶׁת יָמִים תַּעֲשֶׂה מַעֲשֶׂיךָ, וּבַיּוֹם הַשְּׁבִיעִי תִּשְׁבֹּת–לְמַעַן יָנוּחַ, שׁוֹרְךָ וַחֲמֹרֶךָ, וְיִנָּפֵשׁ בֶּן-אֲמָתְךָ, וְהַגֵּר. Six days you may carry out your activities, but on the seventh day you must cease, in order that your ox and your donkey may rest, and your servants can relax, along with the resident alien. Note that in the case of Shabbat, the word “l’ma’an”—”in order that”—plays a crucial role. We are to cease working so that our families, our workers, and our farm animals may rest. 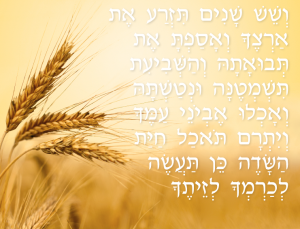 Thus, Shmittah is a parallel to Shabbat: we are to refrain from sowing and harvesting, which is followed by the statement that the fruits will be for the poor and the beasts of the field. And yet, the word, “l’ma’an” is missing in the verse about Shmittah. Further, if the reason for the Shmittah is to allow the poor to eat of the ownerless produce, why ban planting and seeding? Surely it would be more advantageous to the poor if the farmers were to plant crops for them to gather! This would seem to argue against Shmittah being purely a social issue. Meanwhile, the text in our Parashah also connects Shabbat and Shmittah, but seems to emphasize the “ritual” side of the observance. Rather than the term “Shnat Shmittah”—the Shmittah Year—VaYikra calls for a “Shabbat for the Land”, an agricultural parallel to the weekly Shabbat observed by human beings. Interestingly enough, this Shabbat is mentioned exactly seven times in the relevant text. וַיְדַבֵּר ה’ אֶל מֹשֶׁה בְּהַר סִינַי לֵאמֹר. דַּבֵּר אֶל בְּנֵי יִשְׂרָאֵל וְאָמַרְתָּ אֲלֵהֶם כִּי תָבֹאוּ אֶל הָאָרֶץ אֲשֶׁר אֲנִי נֹתֵן לָכֶם וְשָׁבְתָה הָאָרֶץ שַׁבָּת לַה’ שֵׁשׁ שָׁנִים תִּזְרַע שָׂדֶךָ וְשֵׁשׁ שָׁנִים תִּזְמֹר כַּרְמֶךָ וְאָסַפְתָּ אֶת תְּבוּאָתָהּ. וּבַשָּׁנָה הַשְּׁבִיעִת שַׁבַּת שַׁבָּתוֹן יִהְיֶה לָאָרֶץ שַׁבָּת לַיקוק שָׂדְךָ לֹא תִזְרָע וְכַרְמְךָ לֹא תִזְמֹר. אֵת סְפִיחַ קְצִירְךָ לֹא תִקְצוֹר וְאֶת עִנְּבֵי נְזִירֶךָ לֹא תִבְצֹר שְׁנַת שַׁבָּתוֹן יִהְיֶה לָאָרֶץ. וְהָיְתָה שַׁבַּת הָאָרֶץ לָכֶם לְאָכְלָה לְךָ וּלְעַבְדְּךָ וְלַאֲמָתֶךָ וְלִשְׂכִירְךָ וּלְתוֹשָׁבְךָ הַגָּרִים עִמָּךְ. וְלִבְהֶמְתְּךָ וְלַחַיָּה אֲשֶׁר בְּאַרְצֶךָ תִּהְיֶה כָל תְּבוּאָתָהּ לֶאֱכֹל. Shmittah involves the setting apart of the produce as Kadosh, something special, akin to the produce set aside for Kohanim, who may only eat them when in a particular state of ritual purity. What’s more, the Shmittah year appears to be setting us up for potential economic disaster, which again, would seem to argue against the law being purely a social consideration. Considering that the ban on sowing and harvesting can affect three years’ worth of produce, it’s natural to wonder what we’ll eat in the interim. וְכִי תֹאמְרוּ, מַה-נֹּאכַל בַּשָּׁנָה הַשְּׁבִיעִת: הֵן לֹא נִזְרָע, וְלֹא נֶאֱסֹף אֶת-תְּבוּאָתֵנוּ. וְצִוִּיתִי אֶת-בִּרְכָתִי לָכֶם, בַּשָּׁנָה הַשִּׁשִּׁית; וְעָשָׂת, אֶת-הַתְּבוּאָה, לִשְׁלֹשׁ, הַשָּׁנִים. וּזְרַעְתֶּם, אֵת הַשָּׁנָה הַשְּׁמִינִת, וַאֲכַלְתֶּם, מִן-הַתְּבוּאָה יָשָׁן; עַד הַשָּׁנָה הַתְּשִׁיעִת, עַד-בּוֹא תְּבוּאָתָהּ–תֹּאכְלוּ, יָשָׁן. So there is an element of trust in all this. It’s accepted at the outset that keeping this “Shabbat of shabbats” will not be easy. This radical requirement—that we throw caution to the winds and trust that we’ll have enough to eat is unprecedented in the Torah. Generally, when material welfare is at stake, the Torah tends toward relaxing religious laws in order to strengthen social laws. Mitzvot bein Adam l’chavero (between man and man) generally take precedence, a trend that has been carried over into the Mishna and Talmud. But then, this is Sefer VaYikra—Torat haKohanim. Having been told that we must be a nation of priests, we may not find it so surprising that the entire nation is held to a high standard. The bottom line of Shmittah is the understanding that we aren’t in charge, that our land, our fortunes, and our lives are not our own. Together with this is the inculcation of a certain degree of trust—even of naïve optimism—that we’re in good hands. It’s about letting go, and about relinquishing our constant pursuit of ownership. But there’s more to it that just an exercise in trust. There is an intimate connection between Shmittah and the Yovel (the Jubilee Year). We are to count seven cycles of Shmittah, after which we are to blow the shofar on Yom HaKippurim and declare “Freedom in the land”. The fiftieth year is to be a year of restitution—indentured servants are to go free, debts are to be forgiven, and land sold under economic duress is to revert to its initial owners. This takes the idea of financial and social letting go its ultimate conclusion. During the Shmittah, inequalities between the haves and have-nots are to be evened out as far as possible. All produce is free for to all comers, regardless of where it grows. Gates must be left open to allow entry to anyone who wishes to eat from one’s trees. The Shmittah is the great equalizer. But the Yovel goes way beyond that—it erases economic hardships and circumstantial misfortunes in a single bold step. It prevents the growth of a feudal system, whereby all land is bought up by those with money, and the work is done by those too poor to own land. 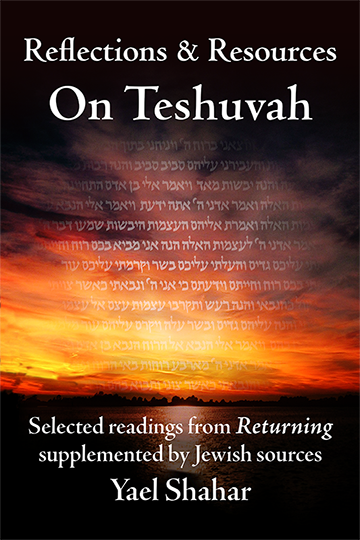 The mitzvot of both Shmittah and Yovel lay out a complete program of social and religious life that encompasses respect for others, for the the land, and for God. Israel’s right to live in peace and prosperity in its own land is conditional on its building a model society, which provides a safety blanket for its weakest members. Compassion is a very visceral thing. It is something that causes us to go the extra mile, to give of ourselves (the Hebrew word “ahavah” is derived from the verb “to give”). It’s the bond that causes us to educate our children, to care for our elderly parents, to spend nights in hospital with a sick spouse. One can’t legislate the emotion of love, but one can legislate those same behaviors. Judaism doesn’t preach love as a religious ideal; it commands it as a legal obligation. More accurately, it legislates behavior toward fellow Jews that mimics what we would do voluntarily for those we love. 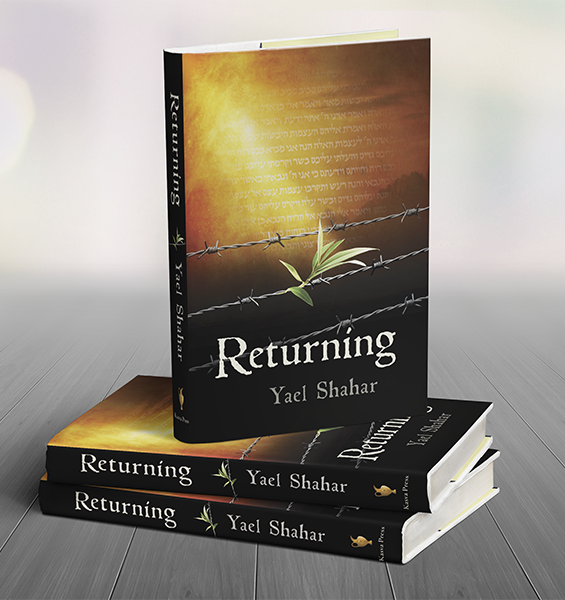 If a fellow citizen has to sell his land, buy it back for him and return it to him in the Sh’nat Yovel. If a fellow citizen is bankrupt, lend him money without interest. If he’s hungry, feed him without charge. If he is so destitute that he must sell himself into slavery, purchase him and treat him as an employee, with full rights and wages, and then send him away free in the seventh year. In short, we are commanded to do for other Jews all the things that a family would naturally do for its members. Over time these practices work to build a habit of solidarity. The translation of emotions into concrete actions fuels one of the central precepts of Jewish peoplehood: it is a culture based not on rights, but on obligations. The halakhic principle of “kol Yisrael arevim ze l’ze” (all Israel are guarantors for one another) is not just a verbal formula, but a legally-binding obligation—quite literally, a commandment. So we return to our initial question: Is Shmittah a social mitzvah, or a religious mitzvah? The parallels with Shabbat hint at the answer. Like Shmittah, the Shabbat requires us to loosen our grasp. The prohibitions of work on Shabbat include exactly those things that set human beings apart from other animals—creative, pre-meditated work. To refrain from work on Shabbat is to reenter the world of our pre-human ancestors, to revisit Gan Eden. Meanwhile, the types of work that are prohibited during the Shmittah Year are precisely those types of work that typified Adam after expulsion from the Garden—plowing, sowing, harvesting! In short, all those types of work that set us apart from our hunter-gatherer ancestors. Like Shabbat, Shmittah brings us back to Gan Eden, where all we have to do is pluck the fruit growing freely without human intervention. So the answer to the question of whether Shmittah is a religious mitzvah or a social mitzvah appears to be “Yes!” The understanding that we aren’t in charge, and the attempt to inculcate trust and optimism for the future are both life-affirming and life-sustaining. The ability to relinquish control inculcates an underlying resilience—an ability to ride out times of uncertainty and misfortune, in the firm belief that when all is said and done, we’re in good hands. וְהָאָרֶץ, לֹא תִמָּכֵר לִצְמִתֻת–כִּי-לִי, הָאָרֶץ: כִּי-גֵרִים וְתוֹשָׁבִים אַתֶּם, עִמָּדִי. The Land cannot be sold for eternity, because it is Mine, and you are tenants and sojourners with Me.